The DIY Bride: Dudley's Dos & Donts of DIY: Ceremony Decor! The wedding ceremony. The time has come to marry your honey, and the guests will all be there to watch. 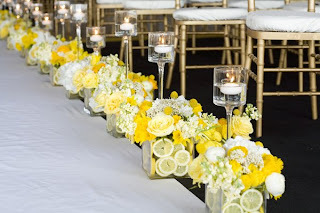 But let's face it.. the guests are eager and excited to watch you get married just as much as they're also wanting to see your decor and what you did exactly to dress up your ceremony space. 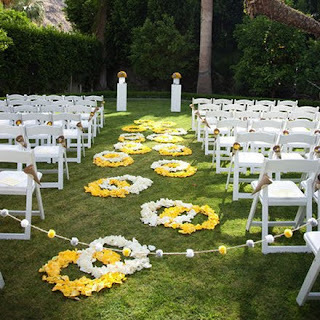 For the most part, ceremony decor should be relatively simple. No need to go over the top because going simple goes a long way. Que Billy Idol's "White Wedding!" 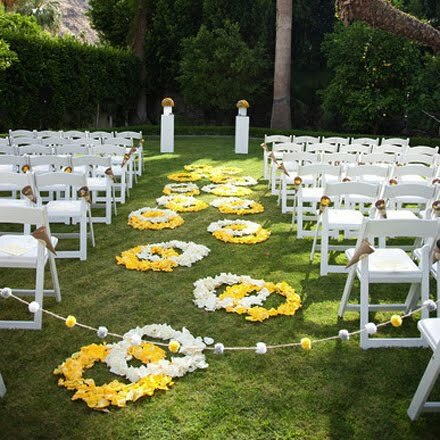 Whether you're getting married indoors or outdoors, there are a number of things to consider when you begin designing the layout of your ceremony. So I've compiled ideas for both. Now let's say you're having an indoor ceremony. 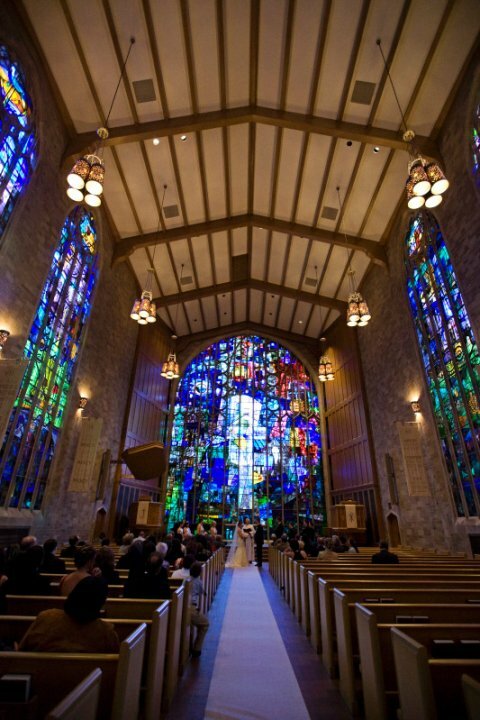 Imagine with me, if you will, your guests are walking up to the doors to enter. You have a few options, in terms of decor, on how you could potentially spruce up those doors. 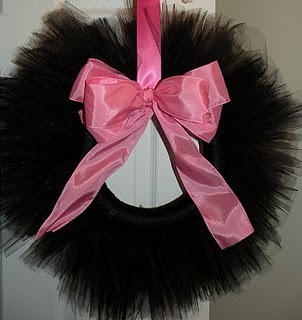 Decorating the doors are by no means mandatory, but let's say if you were going to..
DO: Be clean and uncomplicated. No need to go overboard since your guests will just be walking through the doors and will see the decor for roughly 5 seconds. 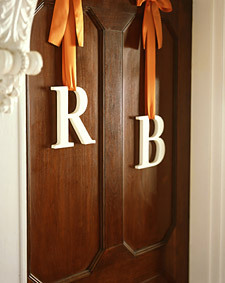 Hanging door letters like these are just the perfect touch. AHH! Too much! You don't want to scare people do you?! 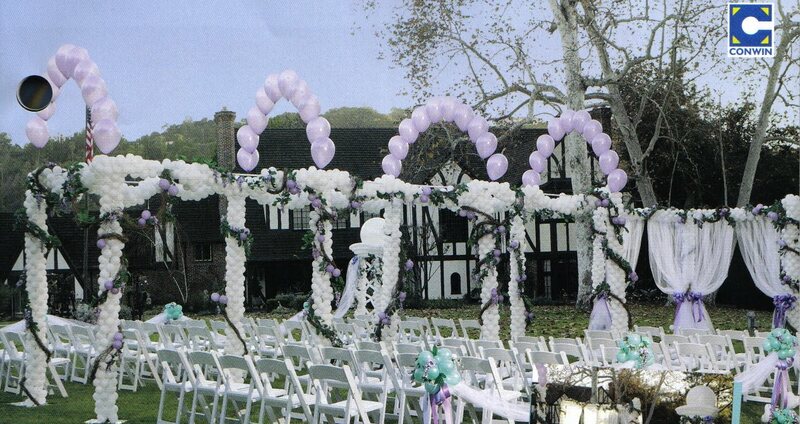 So now your guests have entered your ceremony space. Do you have anything lining the aisle? More than likely, yes, but you don't need to. Depending on your space, sometimes very little ceremony decor is better. For instance fellow knottie, Brie of Brie-Fit, held her ceremony in a large beautiful church with tall, colorful windows..
Brie chose to keep her ceremony decor minimal, which was perfect considering the church already was an immaculate decoration on its own. Now, let's say you're having more decor..
DO: Design the aisle, don't destroy the aisle. 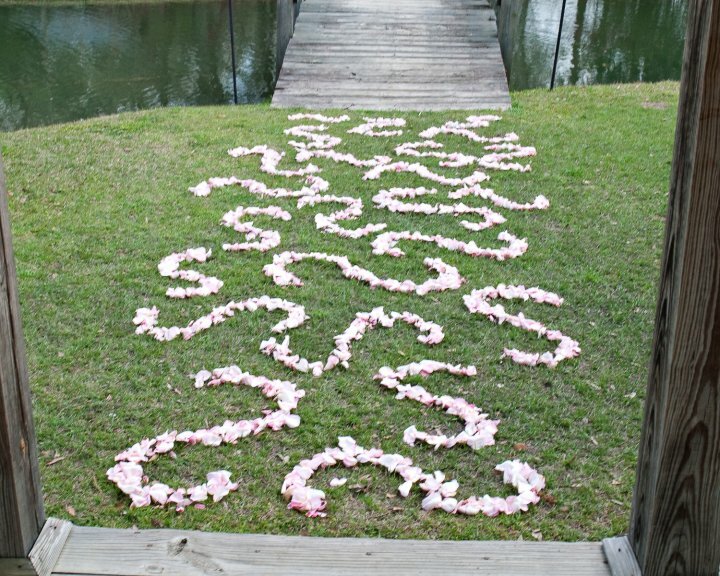 Another fellow knottie and blogger, Ashley of Bride on a Budget, took a different approach when it came to decorating her aisle by creating "S" petal designs on the grass that lined the aisle. Gorgeous! This bride chose to use an overlapping ring design. 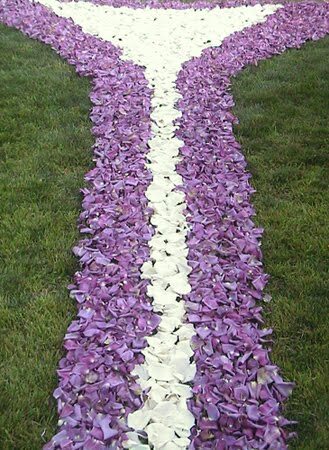 DON'T: Use rose petals to design anything resembling alcoholic beverages or anything provocative. Whether this bride decided to have her aisle decor in the shape of a martini glass, we will never know. 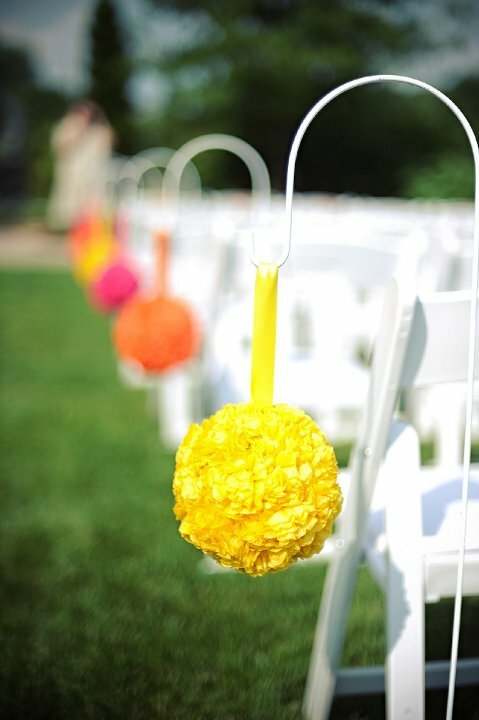 DO: Non-traditional decor to line the aisle. 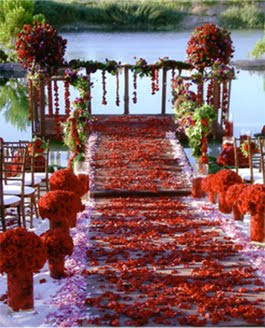 Laying out traditional rose petals to line the aisle with a runner is no longer a must for every wedding. 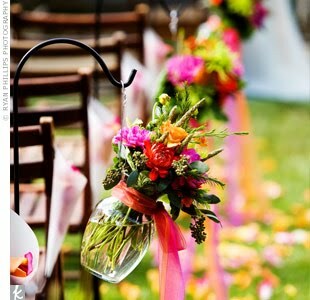 Brides are taking to new heights and modernized ideas to line their aisles. Fruit! Candles! Centerpieces! Lanterns! Pomanders! OH MY! ...Just don't do them all. 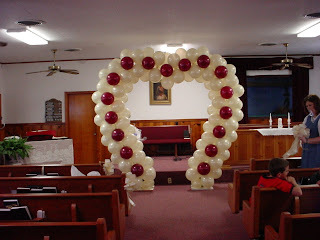 DON'T: Balloon Arches. Just don't. Keep in mind that this is a wedding. Not your high school prom or Disneyland. 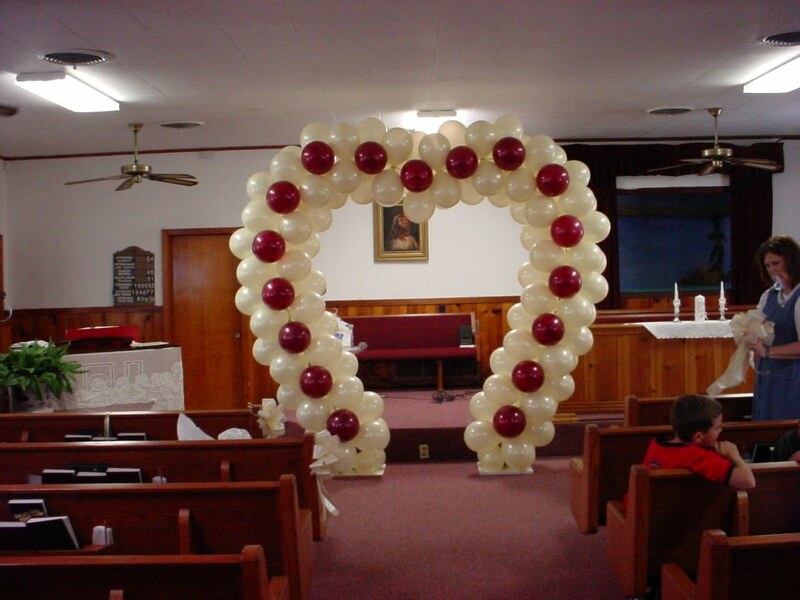 Balloon arches are OUT. She's a beauty isn't she? Even in the shape of a heart! 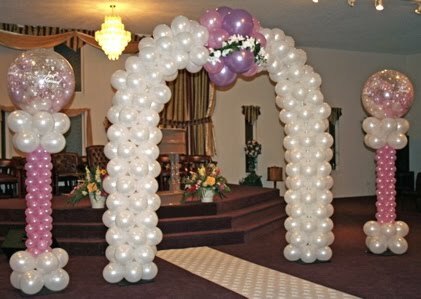 Balloon arches that line an entire aisle. 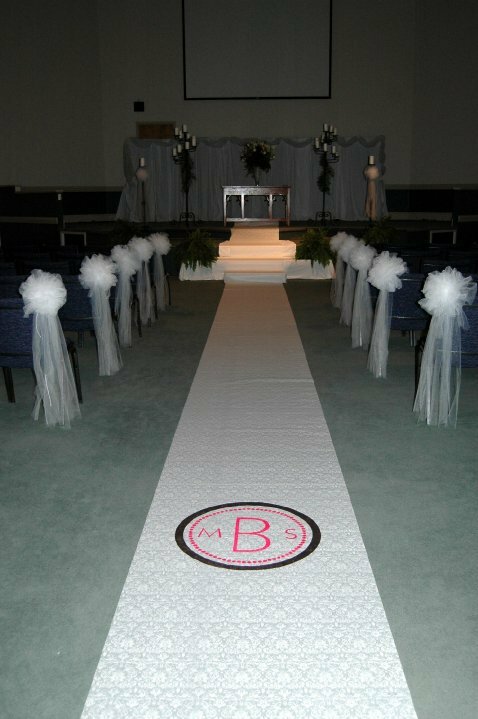 DO: Incorporate a monogram or design into the aisle runner. 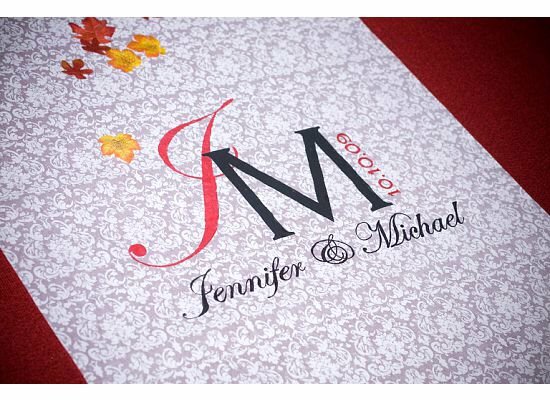 A trend among weddings are monograms/logos. How you choose to incorporate the monograms is completely up to you, but one way to carry it out in ceremony decor is through your aisle runner. 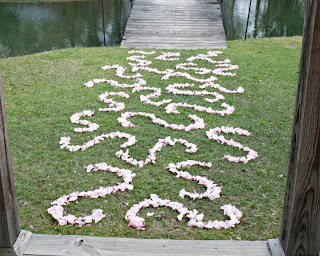 Fellow knottie, Jennifer of Vogt Stories, creates these beautiful monograms on aisle runners. Make sure to check out her Etsy shop! Another major part of your ceremony decor is your bridal party. 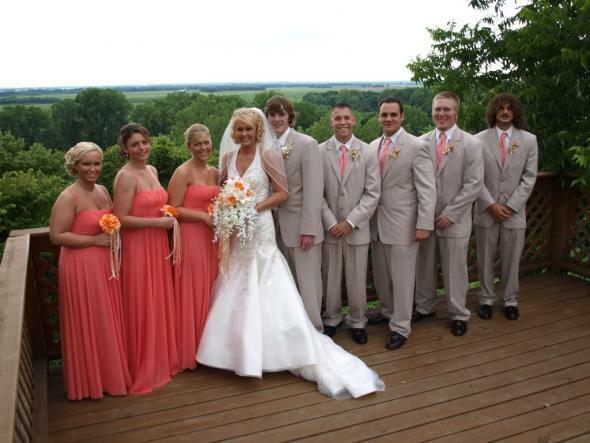 Believe it or not, bridal party members are there to support you, but they also can help carry out your wedding color scheme and/or theme. 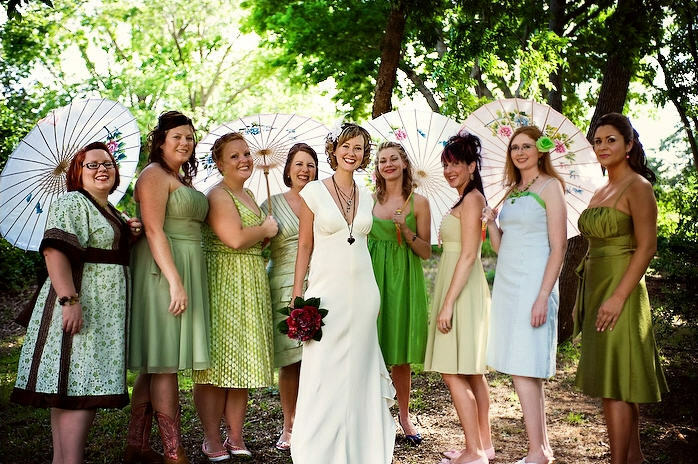 DO: Coordinate your bridal party well. If you don't want them to match, then they don't need to. But just remember that not only do you want them to look good, but they want to look and feel good too. 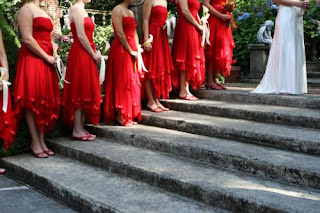 DON'T: Making your bridesmaids identical and perfectly matched. Having them all wear the same dress is one thing, but to go as far as make them wear matching shoes along with matching accessories and similar hairstyles... Major don't. Your bridesmaids have personalities so let them express it. 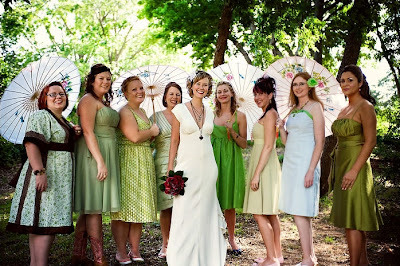 Here is a great example of a bride who told their bridesmaids to choose their own green dress or a dress with a green embellishment. They look great! Each can express her own personality, and feel comfortable. 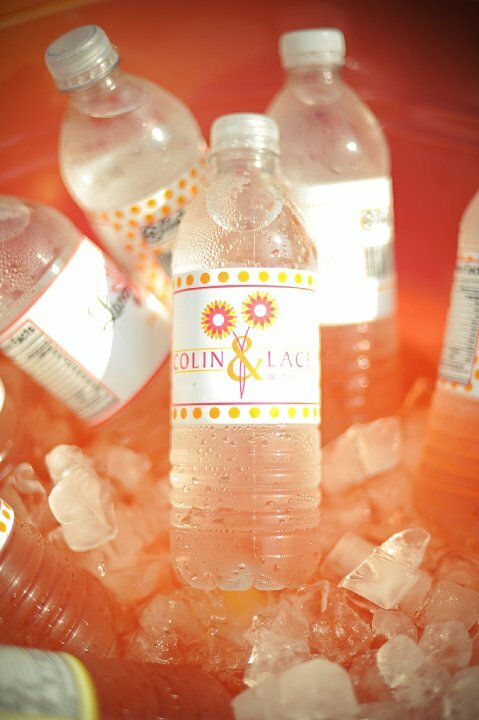 Cute and personalized water bottle labels are a hot new trend right now in the wedding world. 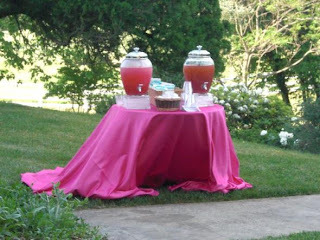 Providing beverages are not a requirement, but definitely a nice gesture for those ceremonies that will be held outdoors or extra long. A lemonade stand is a unique and fun idea too! DON'T: Getting flower and color happy. You don't want to overload your space with color or flowers. And there you have it. My Dos & Donts of DIY for Ceremony Decor. 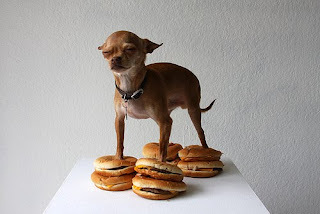 I do have one more question though..
Why when I was searching for wedding decor, did this picture show up? Here's a better question, WHY IS A DOG STANDING ON CHEESEBURGERS? I'll leave ya with that! Love this segment! And thanks for featuring my aisle. My coordinators did a fantastic job. Perfect list! This should be a sticky at the top of the ceremony board on TK. Thanks for featuring my aisle runners!